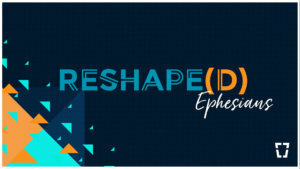 Watch Lead Pastor Brent Minter's message from February 10th about leaving the darkness to walk in the light from Ephesians 5:3-14 for our RESHAPE(D) teaching series. Your browser does not support HTML5 audio. Please use the "Listen to Audio" button above to download the MP3.